Rapid publication average time [4-6 days] takes from submission to first decision and acceptance of manuscripts. High visibility IJTRD is available via many university libraries. Articles are freely and easily available to anyone in developing countries. All articles can be accessed for free. Open Access option IJTRD is part of online open, which allows authors to fund their article to be open access from publication. 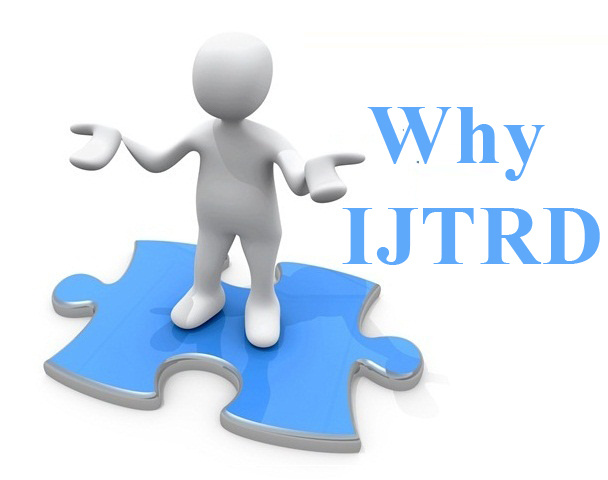 Full archive available Every issue of Journal of IJTRD is available online from volume 1 issue 1 to the latest published issue with month and year. Publication cost Very normal charges with additional benefits to publish your artciles.